Sony has dropped the first official trailer and very cool poster for the second film version of author R.L. Stine’s classic book series, the holiday-themed sequel Goosebumps 2: Haunted Halloween. Filled with Halloween imagery and atmosphere, the trailer starts with a recap from the first film before previewing the return of Slappy, as many of the iconic monsters from Stine’s books once again come to life, this time on the best day of the year, when two friends discover the one book “that no one was meant to find”. The film stars Madison Iseman (Tales of Halloween), Jeremy Ray Taylor (It), Caleel Harris (Castle Rock), Wendi McLendon-Covey (The Goldbergs), Chris Parnell, and Ken Jeong, directed by Ari Sandel. Jack Black will once again provide the voice of Slappy, as he did in 2015’s Goosebumps movie. 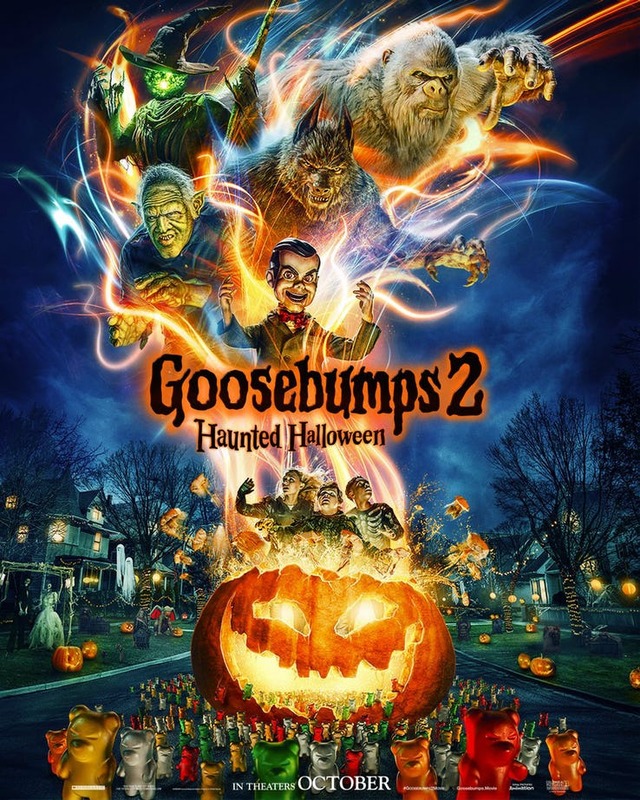 Goosebumps 2: Haunted Halloween arrives on theaters on October 12. You can check out the official trailer and awesome new poster below.